All last winter, we kept saying, “If we can just get to spring and our first full season of being open…” Well, we did it! It wasn’t easy and it wasn’t pretty, but we survived our second winter and are now gearing up for what looks to be a busy summer. We did get the business from the Charlevoix cement plant expansion we talked about earlier. Mary, our extraordinary sister and helper, was doing dishes and helping us tidy up our living quarters on May 1st when she looked out our kitchen window to see a group of men peeking inside the courtyard guest room windows. That moment marked a turning point in the Motel Possible dream. We gave them a tour and ended up reaching an agreement to rent a handful of rooms on a weekly basis. These guys not only saved our financial tucases; they have turned out to be the cleanest, most pleasant guests imaginable. 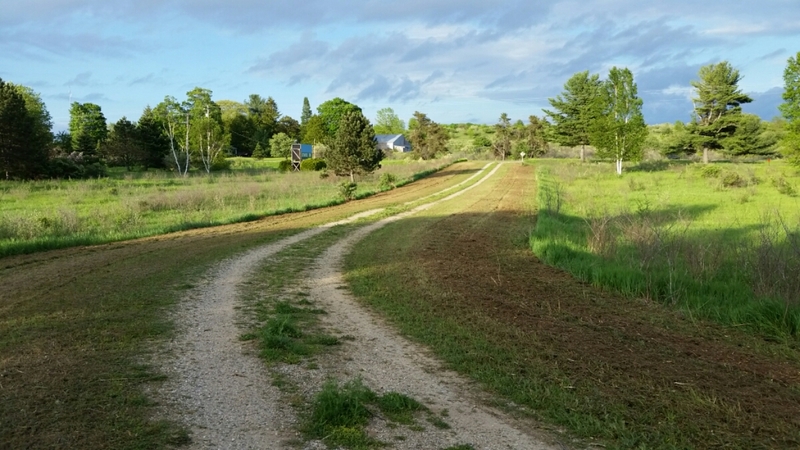 Our spring update wouldn’t be complete without offering major thanks to my former working family at King Orchards for being big supporters of our project, and for flail mowing along the north entrance of the property. Josh made short work of what would have taken Dave months to do by hand. As much as Dave enjoyed hearing the “pop” of those tap roots, he liked the efficiency and results of the machinery better. Watch out, autumn olive. We’re coming for the rest of you soon. We now have online booking available at the Atwood Inn motel website. I have some adjustments to make since implementing Checkfront into our WordPress site, but I am loving the power and ease of the new system. It’s been slow going on the building and landscaping improvements, but little by little, it’s starting to shape up. The fountain base is transforming into a lovely herb and perennials garden. 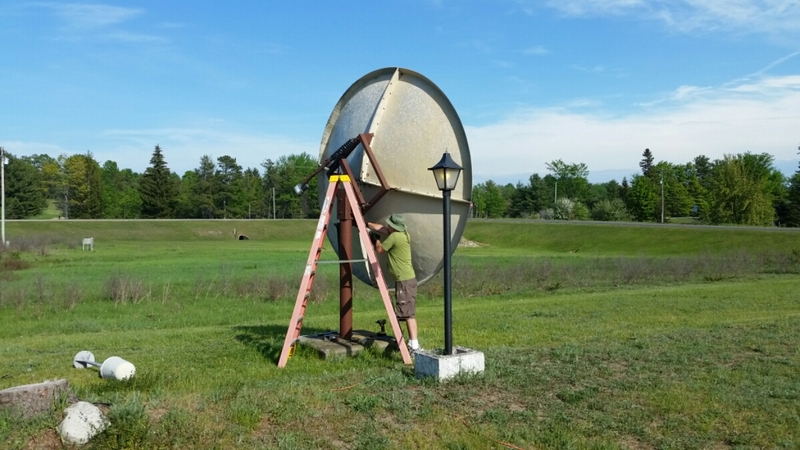 The satellite dish is down. Shane has the lobby primed and ready to be painted. The exterior paint, trim, and doors are behind schedule, but we plod along as fast as time, money, and energy will allow. As always, thanks for your continued support and enthusiasm. Posted on June 24, 2016 July 10, 2016 Author PattyCategories Project Journal2 Comments on Spring 2016: We Made It!